Lexi and Al Hunter are twins with almost nothing in common – except their parents and their birthday! At school Lexi hangs with her friends in the cool crowd, while Al hides in the library reading about history, battles and faraway places. 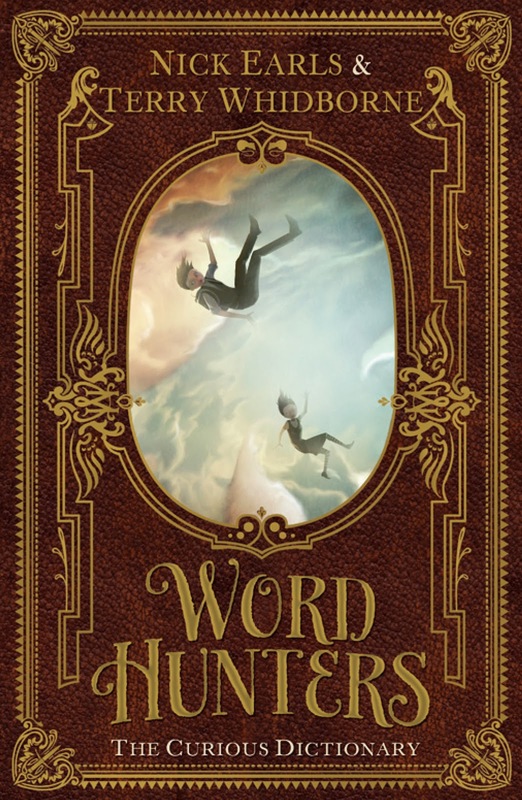 When the twins stumble upon an old dictionary their world as they know it changes. They are blasted into history to hunt down the words that threaten to vanish from our past and our present. Their lives and the future of the world are at stake. Can they find a way back home? Or will they be trapped in the past forever? Now more than ever, they need to depend on each other if they want to survive. The blurb on this book says it’s for word nerds, so it should be the perfect book for me. It also has an element that seems to be cropping up in every second book I am reading…time travel. The story starts with no preamble. We know nothing about the characters, one minute they are in the school library, and the next they find themselves tumbling out of the sky, landing in 1877 Menlo Park, New Jersey, USA. So begins the twin’s journey through time. They have no idea why this is happening, or what they are supposed to be doing. We as readers find out the details along with our main characters as they piece together the pieces of the puzzle. It seems their task in each location has something to do with a specific word. The first being 'hello', where they get close to meeting Thomas Edison. From the first location they go back further in time, and then further in time again until they find out where that word began. It’s not until their third trip, that they meet Caractacus, who explains that they are in fact Word Hunters, and it’s their job to make sure our language (as we know it) stays alive. Through out the book we learn about particular times in history, find out the origins of certain words and even the origins of certain surnames. I must admit that the ‘word nerd’ in me did a bit of searching myself, to see if I could find the origin of my own surname! It was actually pretty easy, here’s a link if you’re interested in finding out about yours. This is the first in what will be a trilogy, and I think it will be popular among word nerds and history buffs alike.